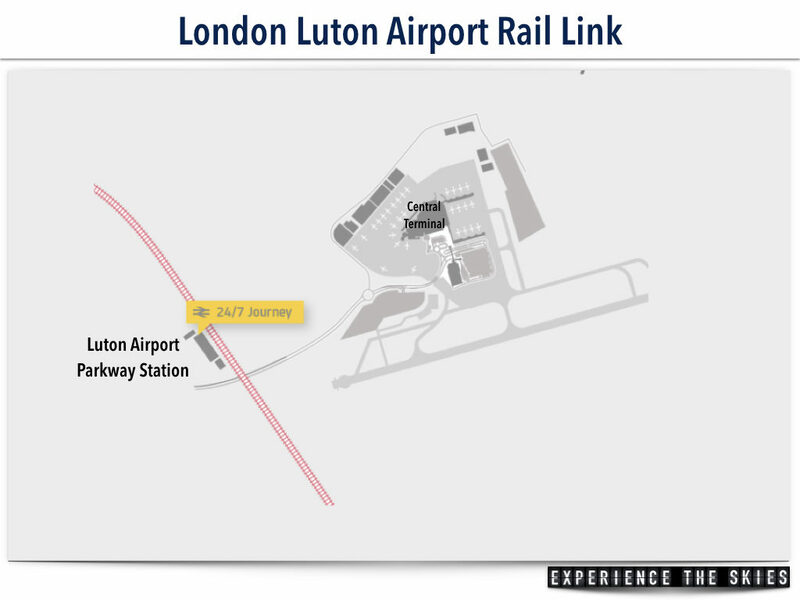 London’s Luton Airport (LTN) received approval from the Luton Borough Council to build a rail line into the terminal building by 2021 at a cost of £200 million (~US$254 million / €227 million). Luton Airport ranks the fourth biggest in the London area behind Heathrow Airport (LHR), Gatwick Airport (LGW) and Stansted Airport (STN). It carried more than 14.6 million passengers in 2016 and is most used by ultra low cost carriers easyJet, Ryanair and Wizz Air. While passengers can get from Central London to the Luton Airport Parkway station (closet to the airport) in under 20 minutes. They have to navigate to a airport shuttle transfer to travel a further 2.25 km (1.4 mi) (refer to map below) before ending at the from the central terminal building. This adds up to another 15 minutes of travel time depending on wait and traffic. Luton Borough Council approved £200 million (~US$254 million / €227 million) rail line to replace the current bus shuttle service. The link will be a fully automated, two-way Mass Passenger Transit (MPT) system that can run 24 hours and connect the railway station directly to the central terminal. The alignment will run along the main railway before crossing over Airport Way through a mid-term car park and to the terminal building. The majority of the construction costs would be to build a bridge crossing over Airport Way. 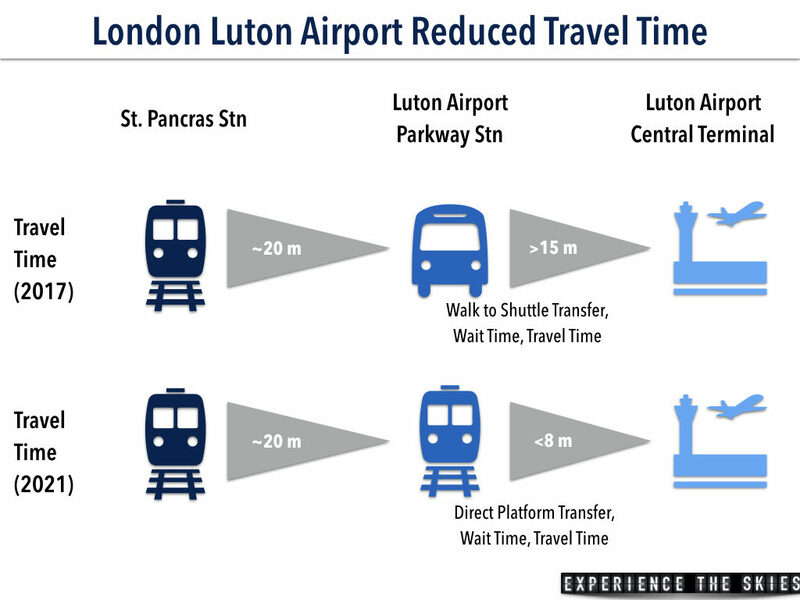 When the rail link is open in 2021, passengers would be able to get from St. Pancras Station in London to Luton Airport’s central terminal in under 30 minutes. That is a time reduction of up to 25%. 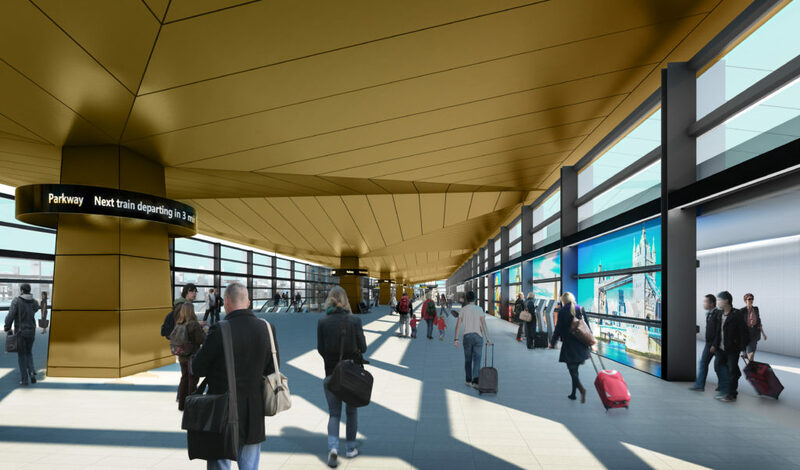 Labour Councillor Dave Taylor, chair of planning at Luton Borough Council, said: “It’s an exciting development which will enhance the passenger experience at Luton. This solution is the most cost effective and efficient way for passengers (with or without baggages) to transfer from the railway station to the airport terminal. Extending train tracks for service into the airport would have taken more time and required a lot more resources without saving significantly more travel time. Under the current design, the MPT can be extend further in the future should the need arises. 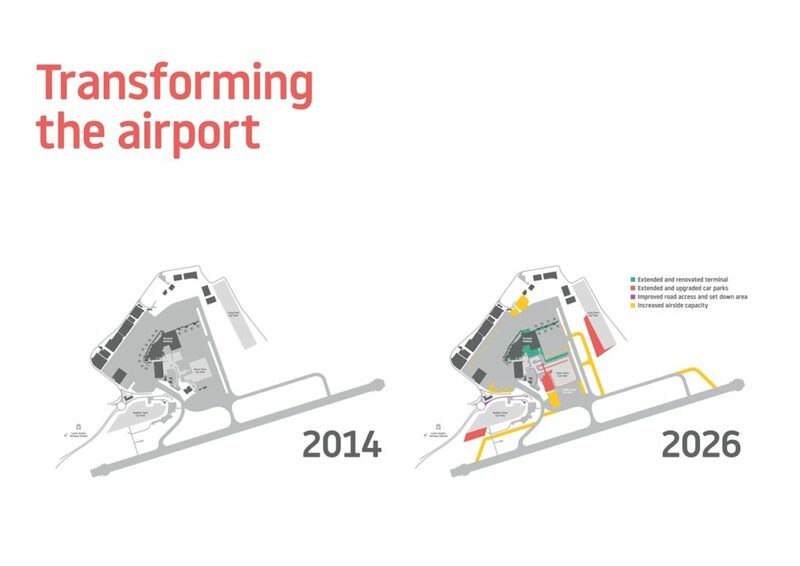 Luton Airport is under going a massive multi-year redevelopment program costing £110 million (~US$140 million / €125 million) that will expand taxiways, car parks and terminal space to handle the projected count of more than 20 million passengers by 2020 (an increase of 37% from 2016). To further balance the playing field and increase public transportation to Luton, the airport authority has requested the government to introduce an express rail service from Central London to Luton Airport Parkway (at least four trains per hour) to compete with ones from Gatwick Airport and Heathrow Airport. The line would be managed by East Midlands.